CBT is about what you think and do affecting the way you feel about yourself, others and the world. Cognitive Therapy was discovered by Beck (1960) who originally trained in psychoanalysis and developed CBT when he began to notice certain patterns of thinking expressed by his patients in therapy. Beck noticed their emotional distress was often as a result of how they interpreted situations that would generate a certain way of thinking. According to Beck (1979), when people are depressed their cognitions (thoughts) about self, the world and future tend to be negative. People, when experiencing situations will often filter out or not see when good things happen or put these down to luck or fluke. The thoughts a person has can be strongly influential upon feelings and behaviour and people can become locked into a negative and unhelpful way of being that maintains the problem. In therapy, the person will then be encouraged to look for evidence to support and refute the negative thoughts and come up with a more accurate one related to the situation so that they can begin to challenge their thinking or the person might look at ways in which they can begin to challenge their behaviour. It is important that the relationship with the therapist and individual is collaborative in that they work together. We will therefore work together to overcome your difficulties which will include setting tasks between sessions to help you do this. We will look at how you think (cognitive) and what you do (behaviour) and look at how these can be changed in order to create psychological changes. 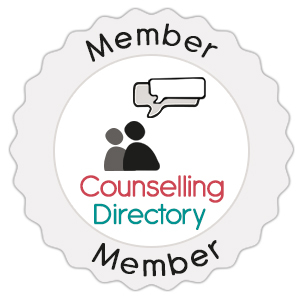 CBT has become very popular and is recommended by the National Institute for Health and Care Excellence (NICE) to address common mental health problems such as anxiety and depression.